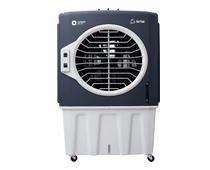 cools up to : 37 sqmt./400 sqft. 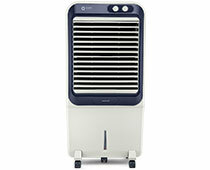 cools up to : 80 sqmt./850 sqft. Due to the changing climate of the world, summers in India are a bit longer than they used to be. They are also hotter and sometimes leave even the best of ceiling fans useless. 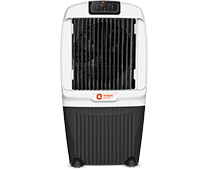 This is why it is advisable that you should have at least one cooler in your home so that when the summers leave you dry, you can cool yourself down from the fresh breeze of Orient Electric desert air coolers. 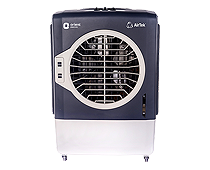 Desert air coolers are made to satisfy the cooling needs of an entire room. 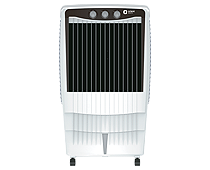 With Orient Electric, you get 7 options of desert air coolers, and each of them is made for a specific need. Each of them comes with a big tank to store water, which makes you free of filling the water tank again and again. 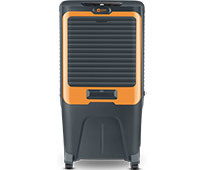 Also, since these coolers come with giant blades, each of them is capable of throwing air through long distance. This makes them good enough to cool a small hall as well. Each of the desert air coolers comes with some kind of protection against mosquito breeding so that the water in their tanks does not act as a breeding ground for mosquitos. 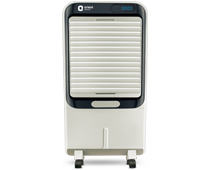 Orient Electric desert air coolers come with wheels, making them easily portable from one room to another. 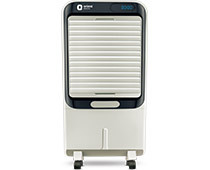 All coolers are fitted with knobs that let you control the speed and the direction of air that the blades produce. Designed to please the eye, these coolers do not produce much noise because your cooler needs to cool your mind and not shoot up its temperature with an irritating loud noise. 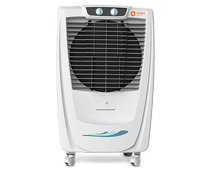 Orient Electric makes sure that all our products are of superior quality but that doesn’t mean our products have to be priced without thinking anything about our Indian buyers. 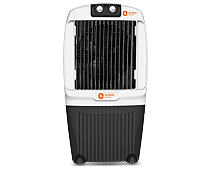 Ourdesert air coolers offer the best value for money in their price range because the kind of features they offer along with their cooling effect can only be found in very high-end coolers. 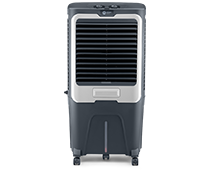 Also, the high build quality of our desert coolers allows them to stay intact for years, which means you can use our cooler for many years before looking out for a new one. 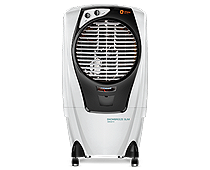 So go on, have a look at our entire range and choose the best cooler that suits your cooling needs.